1. 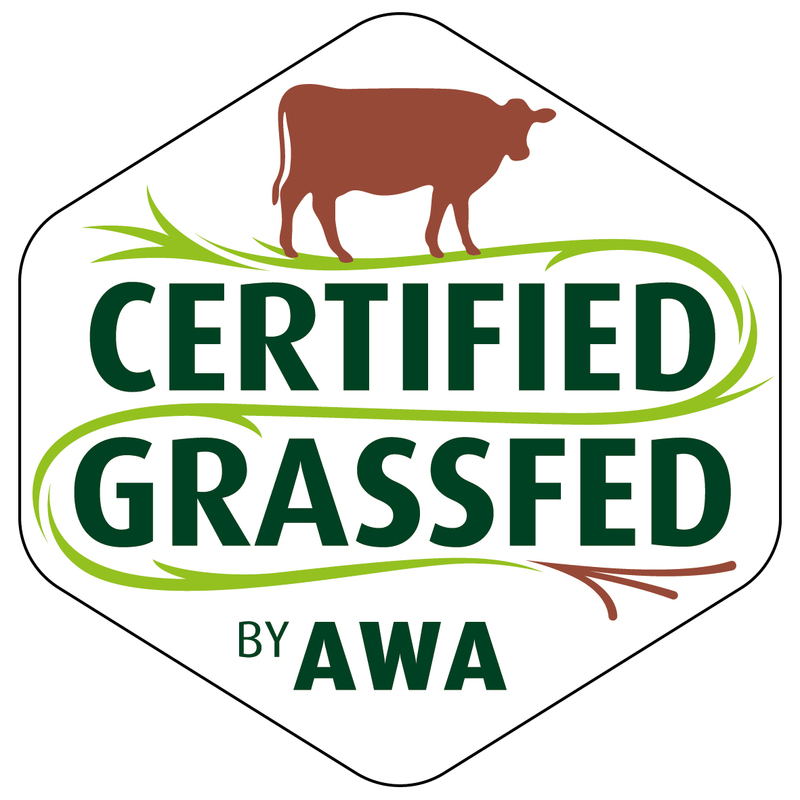 Grass-fed beef has high protein and low fat levels. It will usually require less cooking time and will continue to cook when removed from heat. For this reason, remove the beef from your heat source 10 degrees before it reaches the desired temperature. This beef is made for rare to medium-rare cooking. If you like well done beef, then cook your grass-fed beef at very low temperatures in a sauce to add moisture. 2. Since grass-fed beef is (extremely) low in fat, coat with virgin olive oil or a favourite light oil for flavour enhancement and easy browning. The oil will also prevent drying and sticking. 3. Stove top cooking is great for any type of steak . . . including grass-fed steak. You have more control over the temperature than on the grill. You can use butter in the final minutes when the heat is low to carry the taste of fresh garlic through the meat just like steak chefs. 4. Use a thermometer to test for doneness and watch the thermometer carefully. Since grass-fed beef cooks so quickly, your beef can go from perfectly cooked to overcooked quickly. 5. Let the beef sit covered and in a warm place for 8 to 10 minutes after removing from heat to let the juices redistribute. 6. Never use a fork to turn your beef . . . precious juices will be lost. Always use tongs. 7. Never use a microwave to thaw your grass-fed beef. Either thaw your beef in the refrigerator or for quick thawing place your package in plastic then immerse in water for a few minutes. 8. Always pre-heat your oven, pan or grill before cooking grass-fed beef. 9. When grilling, sear the meat quickly over a high heat on each side to seal in its natural juices and then reduce the heat to a medium or low to finish the cooking process. Also, baste to add moisture throughout the grilling process. Don’t forget grass-fed beef requires 30% less cooking time so watch your thermometer and don’t leave your steaks unattended. 10. When roasting, sear the beef first to lock in the juices and then place in a pre-heated oven. Reduce the temperature of your grain finished beef recipes to about 275 degrees for roasting. The cooking time will still be the same or slightly shorter even at the lower temperature. Again . . . watch your meat thermometer and don’t overcook your meat. Save your leftovers . . . roasted grass-fed beef slices make great healthy luncheon meats with no additives or preservatives. 11. When preparing hamburgers on the grill, you can use caramelized onions, olives or roasted peppers to add low fat moisture to the meat while cooking. Hamburger is usually very lean . . . so some moisture maybe needed to compensate for the lack of fat. Make sure you thoroughly cook but do not overcook your burgers.